How do you draw the line between inspiration and copying? Mine gets drawn by my imagination playing tricks on my memory. I saw a hat in a movie that had a circle of veiling with a jewelled edge. In a fleeting moment, it was gone, and forgetting that I live in a century where I can rewind TV, I was stuck with just that concept in my brain. 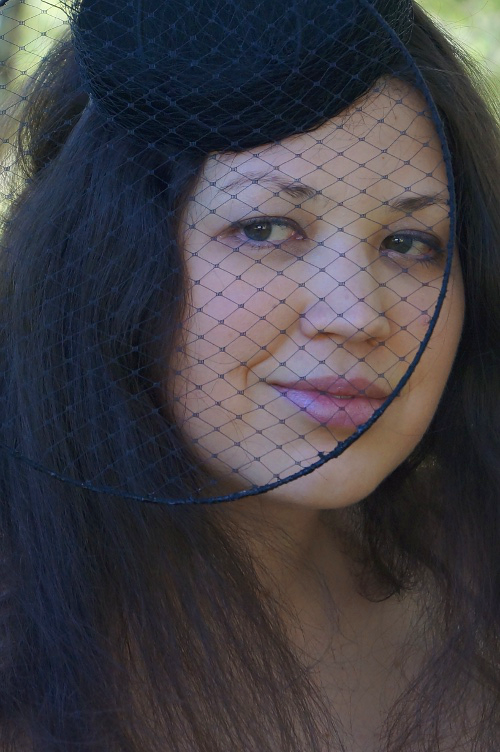 I knew also that I had seen UK milliner Bobbi Heath do some wired loops of veiling and other stuff, when I visited her for some tutoring in July, but I didn't go back to look at the images on her website. I just played with the concepts I liked and focused on those. This is what I made. 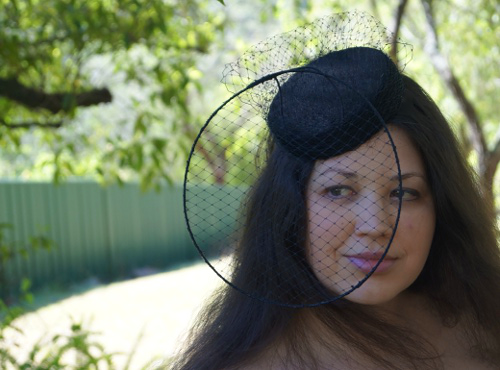 I went with a simple pillbox shape (fabric over a buckram foundation) wrapped in veiling to keep the focus on the statement front of the hat. 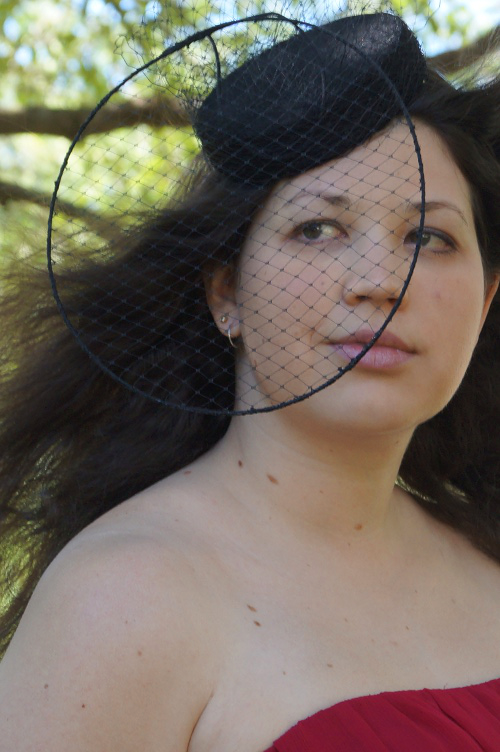 I had a terrible time getting that veiling to stretch evenly across the circle! When I went back to look at my inspiration to see how others had managed to do it, I discovered I had really gone off on a very different path in some ways, and made these problems for myself. We had such a fun photoshoot yesterday. 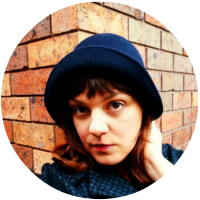 Heaps of thanks to my model Sarah. Time for a windswept supermodel shot, Sez! Photos of more new hats from this photoshoot soon!